Everybody these days has an email address. It's no longer even a question of if somebody has one, but rather, how many they have. From this common truth, it can be said that most people from the young- to the mid-age bracket can be reached electronically. For people in the marketing industry, we then start thinking, with email technology so popular, one of the best ways to tap into new clients and get the word out is through email marketing, right? Let's step back a minute and see what come alongside email marketing: direct mail or postcard marketing campaigns. So what about direct mail and the usage of postcards for marketing? Is it simply an old-fashioned method that has, over time, acquired marketing impotence? On that note, I dare to disagree. Email marketing may be a very budget-friendly means compared to direct mailing since you're without the expense of the design and printing of postcards but before you jump into the hypnotic convenience and wonder of email marketing, look at the overall picture. Email marketing campaign results in one company may be different from the campaign results in another based on a number of factors. The results of a campaign, regardless of technology or method taken, depends on a lot of factors defined by the nature of the business and the people preparing the campaign material itself. Different target audiences will respond differently to the same campaign. Using a diverse example, if you take a bunch of freelance graphic designers and a bunch of middle-aged trading businessmen, the response of each to a printing coupons campaign has a strong likelihood of being totally different. The point I wish to illustrate is that if your campaign is directed towards the wrong audience, no matter what method you take, your campaign will most probably give you undesirable results. The nature of your business also has an effect on the outcome of your campaign. If you own a grocery store and would like to get in touch with housewives or mothers for new arrivals, you might want to head to a local postcard printing company instead of setting up an email campaign. Housewives stay home and bask in daily chores that they might not have time to check their emails. In this case, it would be better to send postcards they can register with their own eyes and easily stick up on the fridge. Had it been done electronically, they might not have been able to get it until “they have the time” (a. “a few days after your new arrival has come and gone”). On the other end, if you're a software development company, your target audience will most likely be online and certainly an email campaign will work better. Another factor is how you present your campaign material. If your design and text is poorly thought of and not tailored to fit the preference of your target audience, you can be certain that you'll get weak numbers by the end of the day. Schedule and timing of a campaign also has an added benefit if done properly. Sending a campaign a day too late might mean a potential number of new clients gone to waste. Now going back to my question posted as the title of this article, the answer would be all factors mentioned above. If after careful consideration of each factor, you decide that an email marketing campaign will do you more good, then fire in the hole! 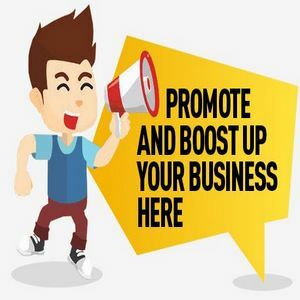 But don't think that direct mail and postcard marketing is not worth investing on specially if its the one most suitable to promote your business. Don't be carried away by the trends and the talk of the net. Go with what your business really needs then take it from there.